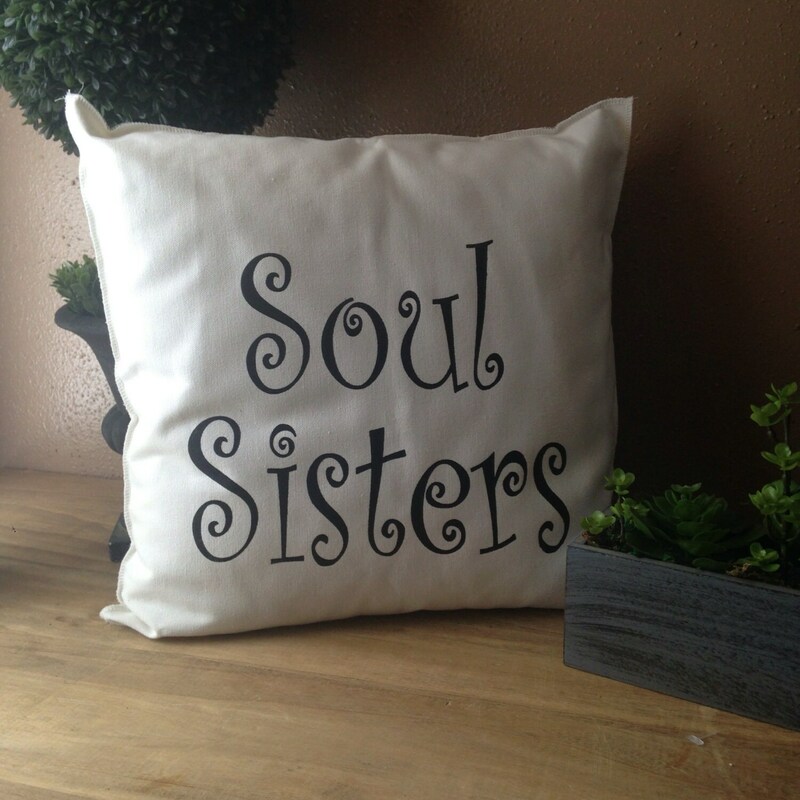 This SOUL SISTERS Inspirational Word Pillow Case is perfect to add a pop of inspiration to any room or to give as a gift of encouragement to a friend. This listing is for one (1) white SOUL SISTERS 18”x18” pillow case. The case is made from a sturdy, cotton duckcloth, giving your pillow a crisp, firm body. The case is sewn using a serger with the edges exposed, giving the pillow a more unique finish. The back of the case has an envelope closure to allow you to easily insert your pillow form. All printing is created and screened by me.